Flat-rate cash-back rewards cards are excellent opportunities to easily rack up rewards without a lot of thought and planning needed, but they usually aren't the best way to earn the highest rewards out there. The signup bonus offered by Chase Freedom Unlimited®, however, changes that. New cardholders can earn 3% cash back on every purchase up to $20,000 spent in your first year as a card member. That rewards earning alone is worth up to $600 cash back. After hitting that spending cap, and on an ongoing basis, you'll earn a respectable 1.5% cash back on all your purchases, with no expiration dates, caps or categories to worry about. Chase Freedom Unlimited® includes a lot of the features you’ve come to appreciate in the Chase Freedom® card, like a $0 annual fee and a sweet offer of 0% intro APR on purchases and balance transfers for 15 months, then 17.24% - 25.99% Variable after that. But Chase Freedom Unlimited® also carries with it a few notable (and enticing) differences: Namely, no rotating categories, no quarterly enrollments, no cap on what you can earn and, of course, that opportunity to earn 3% cash back on every purchase up to $20,000 spent in the first year. On an ongoing basis, the Chase Freedom Unlimited® card offers users the chance to earn unlimited 1.5% cash back on every purchase – it's automatic. No hoops, no hassles, no questions asked. For those of you who aren't convinced that a flat-rate card is the path to your highest rewards, don't fret – we actually agree that Chase Freedom Unlimited® is really best suited as a complement to other Chase cards that also function on the Ultimate Rewards® platform. In fact, Chase Freedom® and Chase Freedom Unlimited® work quite well together in your wallet (we'll explain below). You can redeem your rewards for cash – any amount, any time. Earn 3% cash back on every purchase, up to $20,000 spent in the first year. That's equal to $600 cash back. After you hit the spending threshold, you'll still earn 1.5% cash back on every purchase. Introductory 0% intro APR on purchases and balance transfers for the first 15 months (then, 17.24% - 25.99% Variable). Chase Freedom Unlimited® offers new cardholders that chance to earn 3% cash back on every purchase up to $20,000 spent in the first year (then, 1.5% on every purchase). That could be worth as much as $600 in cash back in your first year alone. There's no cap on the amount of rewards you can earn and the points don't expire. Chase Freedom Unlimited® is offering a 0% intro APR for 15 months from account opening on purchases and balance transfers, then 17.24% - 25.99% Variable. Balance transfer fee is either $5 or 3% of the amount of each transfer, whichever is greater.. There isn't an annual fee, but there is a fairly high balance transfer fee of either $5 or 3% of the amount of each transfer, whichever is greater. You'll also be on the hook for foreign transaction fees if you use Chase Freedom Unlimited® while abroad. The simplicity of racking up rewards with Chase Freedom Unlimited® is perhaps its most appealing feature, but it’s far from the only reason the Chase Freedom Unlimited® card could be a welcome addition to your wallet. Flat-rate cash-back credit cards aren’t a new idea, but there are some aspects of Chase Freedom Unlimited® that make us sit up and take notice. To start, the unlimited 1.5% cash back on every purchase is a fairly high return (and that's AFTER you've earned 3% cash back on the first $20,000 you spend in the first year as a card member). For comparison, the Chase Freedom® card offers unlimited 1% cash back on all other purchases outside the bonus categories. Plus, once you spend $1,500 each quarter in the featured 5% categories, your cash back rewards revert to that 1% level. With Chase Freedom Unlimited®, you'll never cap out of that 1.5% (once you exhaust the 3% earning offered at the beginning). And then there are the redemption options. One hundred points equals $1 and at 1.5 points earned per $1 spent, you'll accumulate 100 points after you spend $67. Many cash-back reward cards restrict when you can cash in your points – as in, you need to accumulate enough points to redeem them in $25 increments or something similar. With Chase Freedom Unlimited®, there are no thresholds to meet in order to redeem your points for cash. Those redeemed points can equal cash deposited directly into an eligible checking or savings account or, since they are Chase Ultimate Rewards® points, they can be used to purchase travel, gift cards, products or services or they can be combined with Chase Ultimate Rewards®s points you earn using other cards on the system, possibly making them worth even more. When paired with Chase Freedom®, you can earn 5% cash back on up to $1,500 in combined purchases in bonus categories each quarter you activate. Then use your Chase Freedom Unlimited® for purchases in all other categories to cash in at the 1.5% cash back on every purchase outside those bonus categories. When paired with the Chase Sapphire Preferred® Card, you can transfer your Chase Ultimate Rewards® points between the two cards. Since Chase Sapphire Preferred® Card cardholders receive 25% more value when they redeem points for travel through Ultimate Rewards®, the points you earn with your Chase Freedom Unlimited® (and Chase Freedom® for that matter) are worth more. 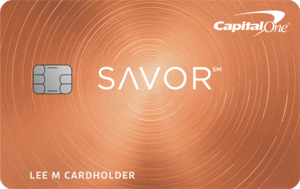 Of these three cards, only the Chase Sapphire Preferred® Card charges an annual fee, so if you're going to carry that card anyway, you won't be losing any money to add the other two to your wallet and points-earning strategy. There's a lot of value to be found with Chase Freedom Unlimited®, particularly for cardholders who prefer their rewards earning to be a simple, non-rotating process. That said, if you are a big spender in particular categories, such as gas or groceries, you could likely earn more with a card tailored to your particular spending habits. Specifically, a card like Chase Freedom®, which offers that 5% cash back in quarterly rotating categories, could really benefit you. The other drawback, and this is a big one for the jet-setting crowd, is the foreign transaction fee of 3% of each transaction in U.S. dollars. If you’re someone who travels internationally, you'd certainly benefit from a card that doesn't charge foreign transaction fees – that's a another good reason to add Chase Sapphire Preferred® Card to your rewards/credit card strategy. Neither card has an annual fee, but the Bank of America® Cash Rewards credit card has a new offer. With the Bank of America® Cash Rewards credit card, you can now maximize your cash back in the category of your choice: gas, online shopping, dining, travel, drug stores, or home improvement/furnishings. Now earn 3% cash back in your choice category and 2% at grocery stores and wholesale clubs (up to $2,500 in combined choice category/grocery store/wholesale club quarterly purchases), and unlimited 1% on all other purchases. You can update your choice category for future purchases once each calendar month using the mobile banking app or online banking, or do nothing and it stays the same. What all this means is that you now have a lot of flexibility when it comes to cash rewards. You're not limited to just gas stations, grocery stores and wholesale clubs. You might be better off deciding which of the Bank of America® Cash Rewards credit card categories you want to target for maximum rewards. 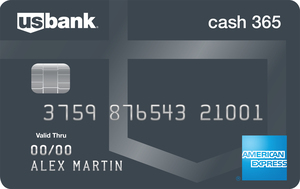 You will have to pay a $95 annual fee for the Blue Cash Preferred® Card from American Express, but you also have the opportunity to earn 6% cash back on up to $6,000 in U.S. supermarket purchases annually (then 1% after reaching the cap), 3% at U.S. gas stations and 1% on all other purchases (Terms apply. See Rates and Fees). Once again, if you’re a big supermarket spender (but not so big you spend well above the $6,000 cap), you could stand to earn substantially more with the Blue Cash Preferred® Card from American Express. You'll pay foreign transaction fees with this card, too, so that shouldn't necessarily play into your comparisons, but the introductory APR periods might: With the Blue Cash Preferred® Card from American Express, you'll only have an introductory 0% APR on purchases and balance transfers for 12 months (then, 15.24% - 26.24% Variable) as compared to the 15 months you can take advantage of with Chase Freedom Unlimited®. On the surface, Chase Freedom Unlimited® and the Wells Fargo Cash Wise Visa® Card are nearly identical. They both have no annual fee, they both earn unlimited 1.5% back on all purchases (or 1.8% with Wells Fargo for the first year when making purchases with a qualified mobile wallet), and they both offer 0% intro APR on purchases and balance transfers. Though minor, there are still a few notable differences. Chase Freedom Unlimited®'s 0% APR intro period lasts for 15 months, whereas the Wells Fargo Cash Wise Visa® Card only lasts for 12 (then, 16.24%-28.24% Variable). Also notable are the signup bonus situations. For example, Wells Fargo Cash Wise Visa® Card cardholders receive a $200 cash rewards bonus once spending $1,000 with the card within three months of opening an account, while Chase Freedom Unlimited® account holders have an opportunity to earn up to $600 as part of the signup bonus situation (earning 3% back on all purchases up to $20,000 spent in the first year, then 1.5%). Granted, you have to spend substantially more than $1,000 to earn $200 cash back with Chase Freedom Unlimited® (you'd need to spend just under $6,700 to earn $200 cash back at the 3% back level), you still have the opportunity to earn quite a lot more given that that you can keep earning at that 3% level up to $20,000 spent in the first year. Because the two cards offer such similar perks, looking at rewards rates and benefits alone might not be enough to help you decide between them. Instead, if your decision comes down to these two cards, you'll want to look further into each issuer's benefits, and consider all of the extra perks you could receive as a cardholder, such as cell phone protection against covered damage and theft when you pay your cellular bill on the card (Wells Fargo) or purchase and extended warranty protection (Chase). Chase Freedom Unlimited® is designed for people who aren't crazy about the idea of keeping up with rotating cash-back categories, but who do spread their spending out among multiple categories and like the flexibility of Chase Ultimate Rewards® points to be redeemed as cash or for various products and services. It's also for people who want the ultimate complement to round out the other Ultimate Rewards®-earning cards in their wallet. It's likely not the best choice for people who use their card for international travel or who relish the opportunity to strategically use their credit cards to rack up maximum rewards in categories that change quarterly. Chase is a great card, but don't apply you will not get approved. My wife and I have good credit not excellent we keep getting offers from Chase and never get approved. We have been a Chase customer for over 15 years you think this would be easier to get this card . NOT. So why keep sending us offers if your not going to approve customers with good credit. Just send these offers to people with excellent credit . Chase stinks!